Day Trip to Taj Mahal by Airconditioned Car with English Speaking Guide from Delhi. Same day tour to Agra is specially designed for foreigner who are on short visit in Delhi. Taj Mahal can be visited in one day from Delhi. 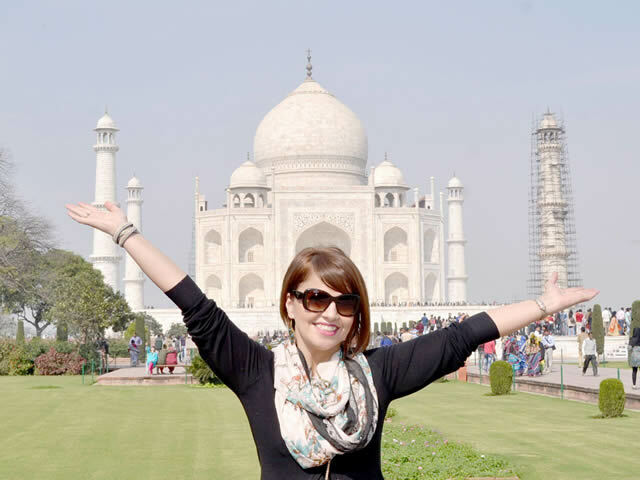 A visit to India is not complete without a visit to Taj Mahal. Book this same day excursion to Agra and explore Taj Mahal, Agra Fort and Itmad Ud Daula (Baby Taj). 07:00 AM Our driver will pick you from Hotel / Airport and drive to Agra (3-4 Hrs). On arrival in Agra our guide will meet and greet you and proceed for Agra city tour. Visit world famous symbol of love The Taj Mahal. Later visit magnificient Agra Fort. After lunch we visit Itmad-Ud-Daula (Baby Taj). Later drive to Delhi. On arrival our driver will drop you to your Hotel / Airport.